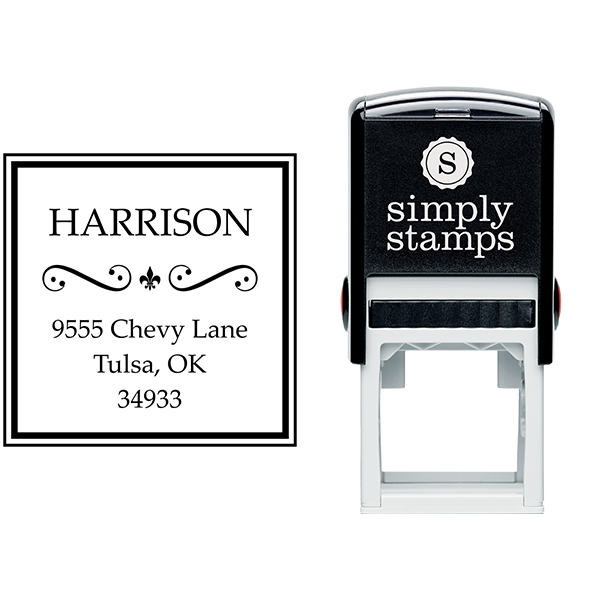 Add your own personal touch to your mail with the Harrison Curves Square Address Stamp. 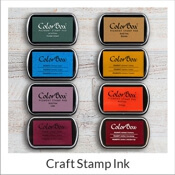 Available in several colors and sizes, this rubber stamp is sure to bring a refined finish to your letters, packages and mail. In the center of two squares (one bold and one thin) your last name will be featured at the top of the design. Below this are two curved designs with a fleur de lis at the center. 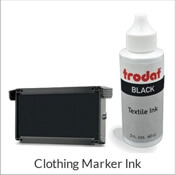 Your address is centered below this, completing the design. 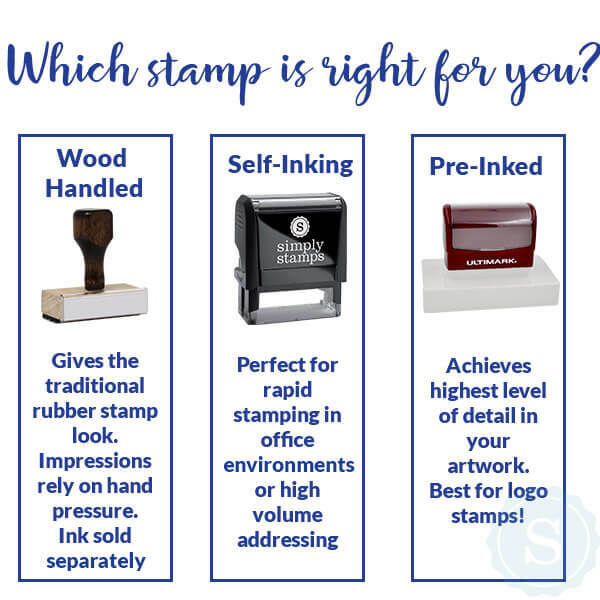 For a consistently clean impression, time and time again, choose a self-inking stamp type from the options below. 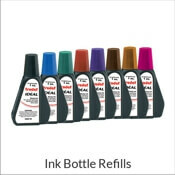 Be sure to select your choice of ink color and size before proceeding to checkout. 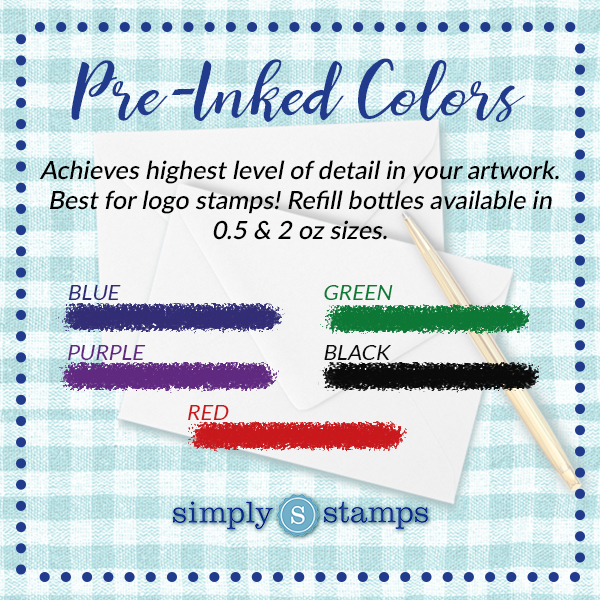 If you need your stamp right away, choose "Expedited Processing" on the next screen. 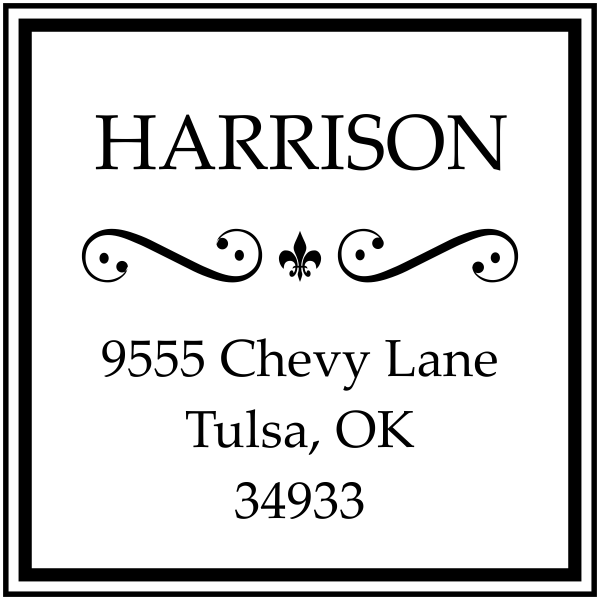 Harrison Curves Square Address Stamp Details You don't need to belong to a royal family to admire the heroic style of the Harrison Curves Square Address Stamp. The combination of curling lines, tiny dots, and a classic Fleur de Lis icon give the stamped motif a hint of heraldic history. 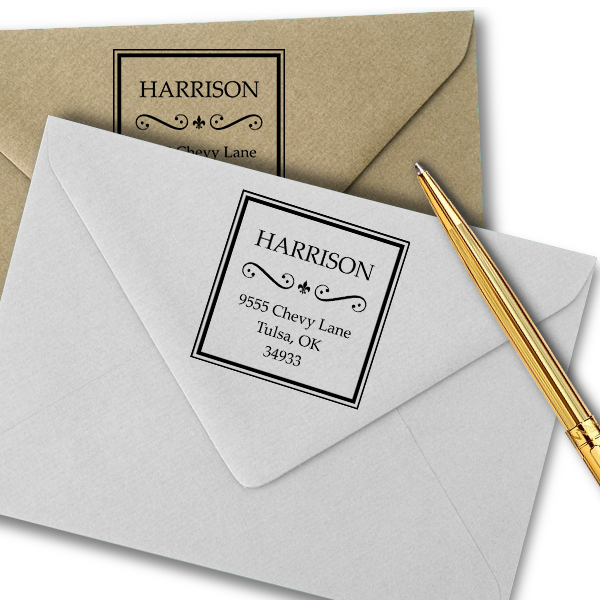 The double solid lines outlining the edges draw attention to your return address. 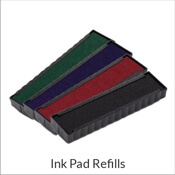 With a reusable self-inking stamp on your desk, there's no need for keeping up with rolls of printed labels. 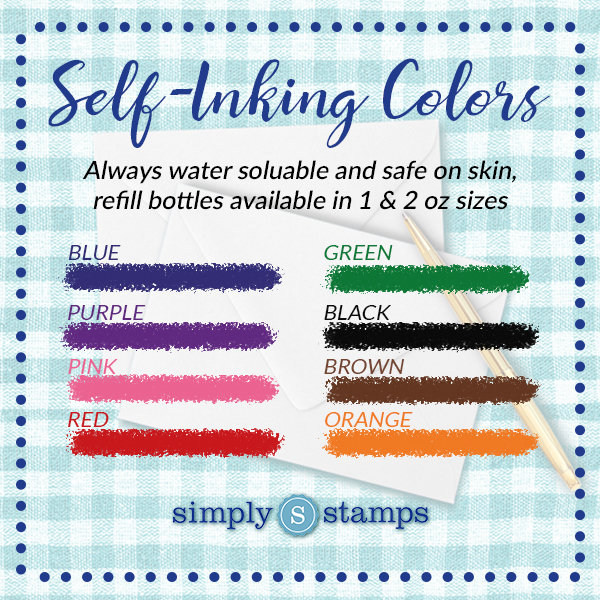 Of course, the classic wood-backed stamp option is also available if you prefer to pick a different color from an ink pad for each letter you send.